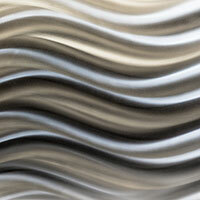 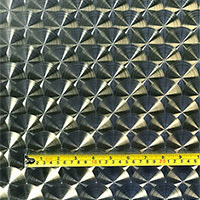 The polished Wave pattern creates an amazing holographic, 3D optical effect as you walk past or as light changes. 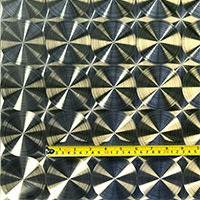 Due to the holographic effect, the photo may not appear the same in your environment. 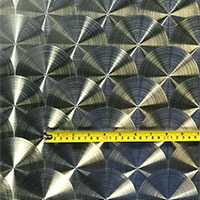 It is recommended to order samples. 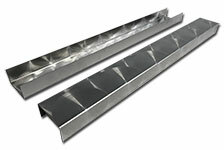 Standard thicknesses are 22 gauge (.0293) and 16 gauge (.0595). 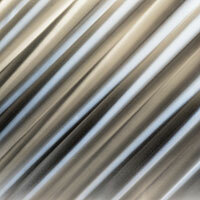 Other thicknesses up to 7 gauge (3/16") are available. 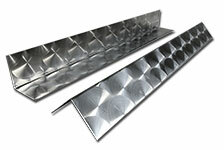 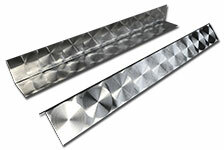 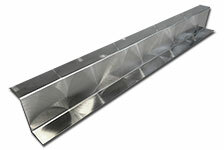 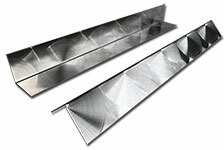 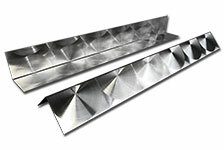 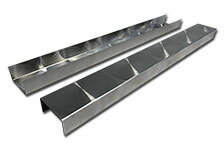 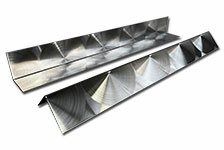 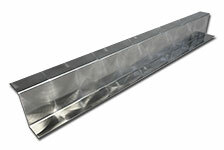 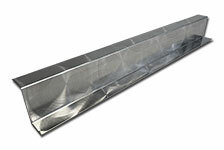 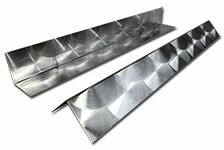 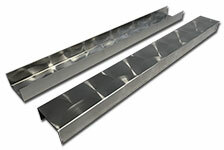 We can provide sheets up to 72" wide and 144" long. 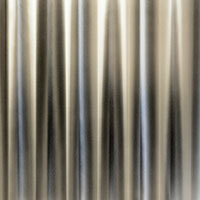 The polished Vertical Pipes pattern creates an amazing holographic, 3D optical effect as you walk past or as light changes. 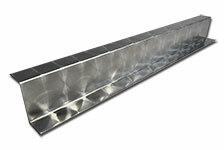 The polished Diagonal Pipes pattern creates an amazing holographic, 3D optical effect as you walk past or as light changes. 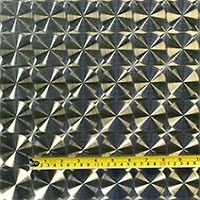 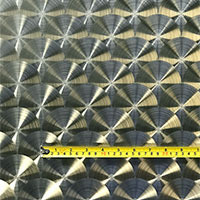 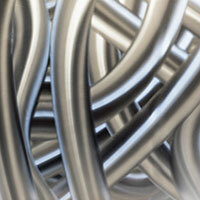 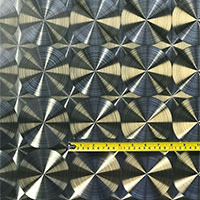 The polished Spaghetti pattern creates an amazing holographic, 3D optical effect as you walk past or as light changes.